You are here: Home / Turntable Reviews / Are Crosley Record Players Bad for Beginners? 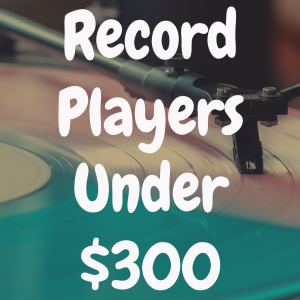 The Crosley Radio Corporation receives its share of raspberries for the beginner record players it produces and markets online (and in popular stores like Urban Outfitters). Yes, they’re cute. Actually, we’ll go even further than that – they’re extremely cute! Lovable, even. They’re also colorful; many come in a “suitcase,” and the more elaborate ones offer often stunning retro styles. 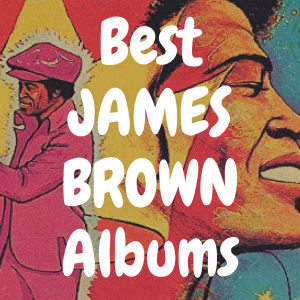 They’re renowned for having built-in amplifiers and speakers, so, if all you want to do is eke out some sort of sound out of a record, you have to nothing more to buy. Some are even three-speed record players with a stylus that will play 78 RPM records. Others even have hookups for headphones, iPods and the like. But, beyond the portability, convenience, attractive styling, and “all in one” factor, the majority of Crosleys have several things going against them. 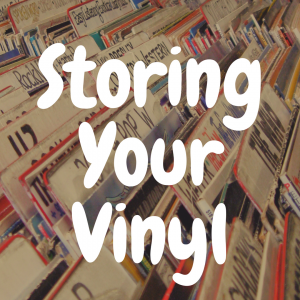 First and foremost, they very well might ruin your precious records. Spend a few minutes with us, and we’ll give you the lowdown on the good, the bad, and the ugly in the world of Crosley. The cartridge is the electronic “brain” of any turntable. A needle (stylus) picks up vibrations from the record grooves, which are fed to the cartridge, which, in turn, transforms them into electrical signals. The signals go to an amplifier powering speakers or headphones. 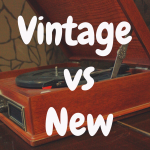 At the risk of getting too wonky here, we’re talking about the difference between a ceramic cartridge (also known as crystal or piezoelectric) and a cartridge of the moving-magnet variety – the type found on most modern record players. Moving-coil cartridges are ultra high-end and a subject for another article. Ceramic cartridges are about as “old school” as you can get – in this case, meaning long outdated. These cheapies are the type typically found on many ‘50s-era console-style stereos and even kiddie phonographs. And in many Crosley record players today. The big bugaboo here is that ceramic cartridges are designed to track with a very heavy force, meaning that the pressure of the stylus (needle) on the actual record grooves can be grievous, sometimes up to five grams or more. Compare that with a good moving-magnet type, which routinely tracks below 2. This is why some records bought at thrift stores look – and sound – like the Edmonton Oilers have played overtime on them. The excessive pressure has simply worn them down and damaged the grooves, and no amount of cleaning can repair them. Furthermore, the tonearms on many lower-end Crosleys (along with some similar players from the likes of Jensen and Studebaker) tend to be cheap and poorly calibrated, adding further to mistracking and damage. It’s not at all uncommon for a very low-quality tonearm to suddenly slide clear across the side of a record, resulting not only in damage to the stylus and grooves but an ungodly noise that sounds not unlike the yowl of an angry cat. Even to the untrained ear, it should be evident when bad things are happening as a record plays. Singers will sound annoyingly sibilant (irritating stridence accompanying “S” sounds), violins will sound shrill instead of soothing, and, the further the needle gets to the end of the record, the more the sound will be brittle and distorted. Take the Crosley Cruiser ($70-$80), one of the company’s perennially popular models. It’s a prime example of what’s good about Crosley – and what’s not so good. Not only does it come in a wide range of attractive colors, it’s truly an all-in-one unit. It isn’t automatic, but it plays records at all three speeds, has a built-in amplifier and speakers, and allows for hookup of portable audio devices. It even has a jack to hook up to external speakers. 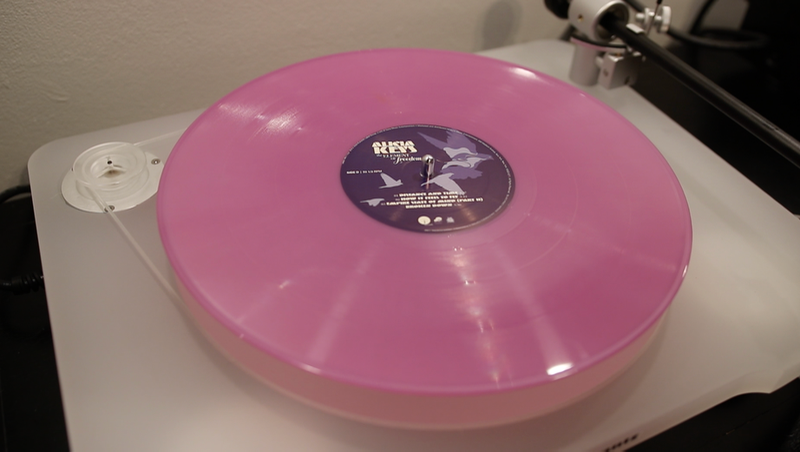 It is extremely easy to operate, and you can hook it up to a PC for making digital copies of vinyl tracks. When it’s time to go, the extremely lightweight unit closes up, looking and feeling pretty much like a snazzy little briefcase. But most people who’ve heard a favorite tune on a decent system will be let down. The built-in speakers are screechy and tinny when turned up to any degree, with no meaningful bass to speak of, and there’s not enough juice to power all but the most efficient external speakers. The tonearm (and cartridge and stylus) combo tends to skip on records that play fine on better tables. Trying to play a mildly warped LP? Why is the Cruiser so popular? Price, of course. But read enough consumer reviews, and you’ll discover that people really, really, really like how it looks. And that’s fine, as far as it goes. But you’re also buying the thing to listen to, not just gaze at. A couple turntables to consider, if you really want a Crosley, is the Crosley 100A and Crosley 200A. 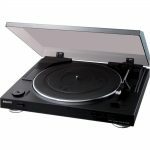 Unlike most Crosley record players, which are kind of meant to be all-in-one portable solutions, the 100A and 200A are moreso in the traditional vein of most manual turntables. They both can play records at 33 or 45 RPM speeds, have an S-shaped tonearm, and offer adjustable pitch control and a counterweight. The big difference between the Crosley C100A and C200A is that the C100A is a belt-drive turntable, and the C200A is a direct drive record player. I think that, if you’re going to go the Crosley route, this is the much better option. Anytime a manufacturer gives you more control over how your turntable interacts with the record or sound is a positive. The C100A costs about $130 and the C200A can likely be found for about $175. So, while they definitely cost more than a Crosley Cruiser, they’ll provide you with better sound, control, and longevity. Unless you absolutely cannot live without an all-in-one and/or portable unit, there are many other alternatives outside of the Crosley brand. In most cases, you won’t be able to hook the turntable up directly to speakers—you’ll have some kind of outboard amplifier or receiver. But your ears (and your vinyl!) will be glad that you took the extra steps. Audio-Technica AT-LP60: At a hundred bucks, this is our favorite low-budget turntable by a mile. Fully automatic and belt-driven, it has a surprisingly good moving-magnet cartridge. It also has a built-in preamplifier (also known as a phono stage) so it can work with a receiver or amplifier that doesn’t. 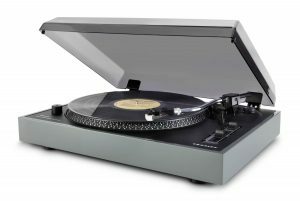 The upgraded model (about $130) also allows hookup to a computer via USB for digitizing of vinyl tracks. Audio-Technica can’t make these thing fast enough to keep up with demand, and for a good reason. 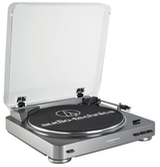 Audio-Technica has recently released the new version of this turntable: the Audio-Technica AT-LP60X. Also worthwhile is the Sony PSLX300USB ($130), another fully automatic table with a competent, moving-magnet cartridge and USB connectivity. A bit flimsier than the AT-LP60, it’s still a competent entry-level table. The Pioneer PL-990 ($140) is another “real” turntable that adds quite the classy look to the mix. Fully automatic and belt-driven, it has a precise, DC-servo motor and an unusually sophisticated tonearm for this price range, as well a built-in preamp. TEAC’s TN-100. More wood and less plastic make this guy a standout at $130. It is one of the few “semi-automatic” tables still on the market; the user must get the needle into the right groove, but the machine will return the arm to its rest and turn off the motor when the record is finished. It includes a preamp and USB connectivity. For a few buckaroos more (OK, quite a few), true audiophile-quality tables to consider are those in the Pro-Ject Essential line. For around $300, you won’t get any frills, but you will have a machine that will safely (and beautifully) play phonograph records via a high-quality Ortofon cartridge. This was one of my first low end high end record players (if that makes sense). 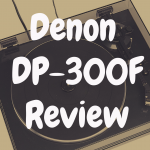 Costing under $500, this record player is quite solid and I think is a very good introduction into becoming more serious when it comes to vinyl records (no automatic feature, use of counterweight and the very good Ortofon cartridge line). Now we’re starting to truly move into the more high end territory. Costing about $1,500, this record player features an acrylic plinth and an overall very simple design. What I really like about this turntable is how quiet the motor is when it’s running. It’s whisper quiet, and comes with a very high end cartridge. You can read my Marantz TT-15S1 review here. Currently, this is my daily turntable–German engineering at its finest. Although the cartridge that comes pre-installed on this record player is relatively basic, you can upgrade to better Clearaudio Concept cartridges if you like. I love the simple design, the fact that you can adjust the speed by simply turning a knob (as opposed to changing the belt positioning, like on the Debut Carbon and Marantz TT-15S1), and I’m a big fan of the very warm sound that the Concept produces (compared to the Debut Carbon, where if you’re using the Ortofon 2M Blue cartridge, for example, you’re going to get very clear sound, but it’ll also be sharper and overall and a bit harsher to the ear). You can read my Clearaudio Concept review here. The good news out all of this is that Crosley is beginning to see the light when it comes to the vinyl resurgence. 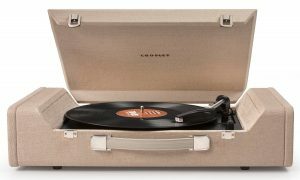 You don’t stay in business this long by failing to adapt to trends, so Crosley is marketing a series of bona fide audiophile turntables in the $400-ish range (made, apparently, by top manufacturer Pro-Ject). The very fact that they carry the Crosley name is a big deal because it’s an acknowledgement (although a slightly backhanded one) that vinyl lovers or those just getting into vinyl need better sound and build quality than what the company has been offering up until now. We love Crosley as a company because we are enamored with audio history, and Crosley has played an amazingly vital, trailblazing part. We also admire the nostalgia factor in how many of its players look. 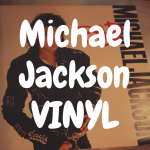 We appreciate how the company has been instrumental (no pun intended) in spurring interest in music on vinyl. The bottom line, though, is this: If you’re genuinely curious about why people rave about how great records sound, you’re going to be sorely disappointed with the lower-level Crosleys. You won’t even get a tiny taste of the warmth, vibrancy, immediacy, and dynamic range of analog sound reproduction. 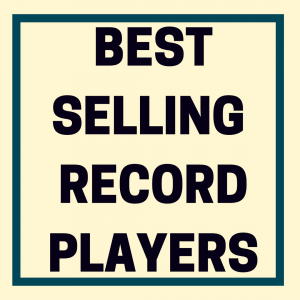 And you definitely won’t be doing your records any favors. 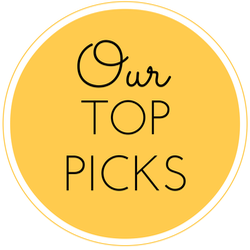 If you look at our suggested alternatives, you’ll see that you simply have to spend some more money for a decent turntable and adequate amplification and loudspeakers. But prices for thoroughly acceptable entry-level equipment are plummeting. Maybe you won’t be able to cart it to the sock hop, but you’ll end up with a true stereo music system that does justice to the recording medium and the music itself. And the music should be what it’s all about. What’s the best looking turntable available?